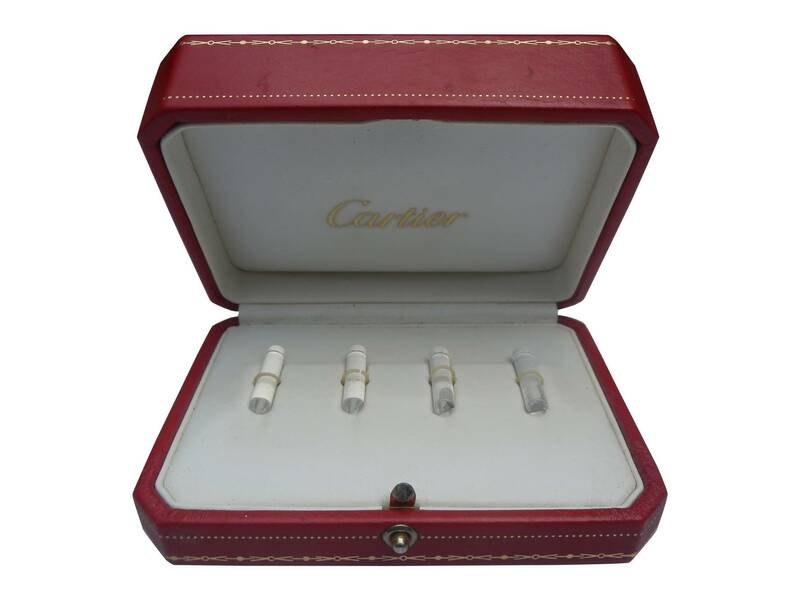 Cartier transparent rock crystal bars that are part of inter-changeable cuff links. In their original box, these Vintage designer pieces are in as new condition. Also available are the Cartier 18k gold cuff links and bars that can be changed for an alternative look.